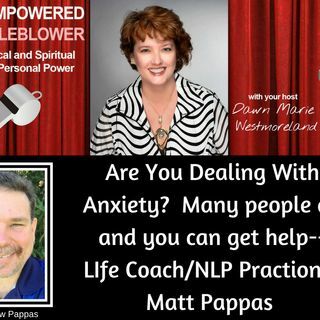 Here is his bio: As a Certified Life Coach and NLP Practitioner, I specialize in overcoming anxiety and trauma survivor coaching. Anxiety is full of manipulative tricks and lies that hold you back, keep you stuck, and feeling miserable and hopeless. There is power inside you already, and you ... See More can unlock it to break free from the chains of anxiety! As a trauma-informed coach, I provide a safe, validating, and encouraging atmosphere both in individual coaching and group settings, with an emphasis on helping you discover your own solutions and achieve the goals and dreams that you never thought were possible before. I'm also the Co-Host and Web Designer for Daily Recovery Support, sponsored by CPTSDFoundation.org. Live, Daily, Support Calls for survivors of trauma, in a safe group atmosphere at an affordable price. Check out BeyondYourPast.com for more information and to schedule your free introductory session to see if working with a Life Coach is right for you. I'm also a blogger and podcaster, creating weekly content in support of Mental Health, Recovery, Finding the Authentic You, Overcoming Anxiety, and Making Healthy Life Choices that will Empower you to handle what life brings your way. Also the Founder of SurvivingMyPast.net - A advocacy blog In support of all who have survived the trauma of abuse and those living with Dissociation, Anxiety, & PTSD.